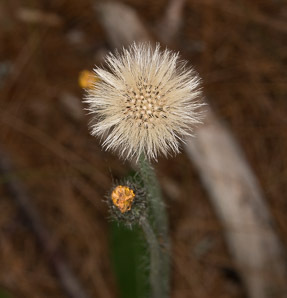 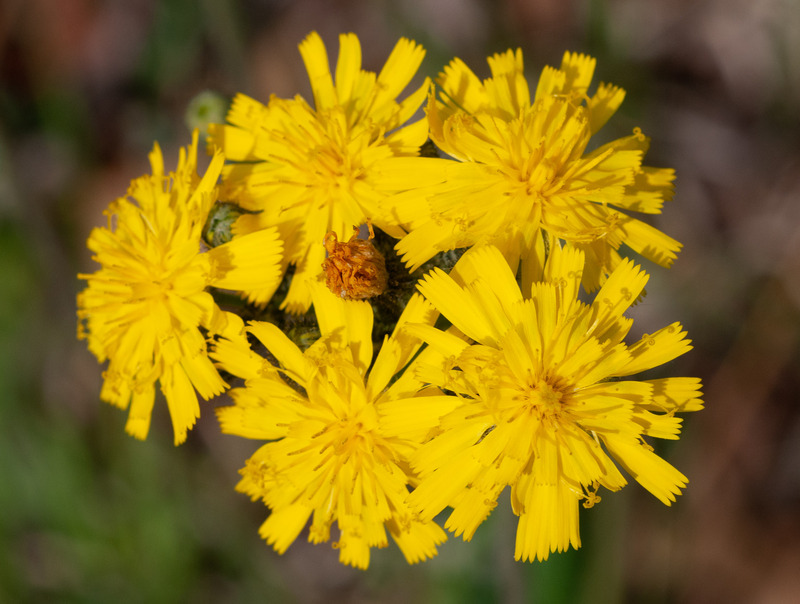 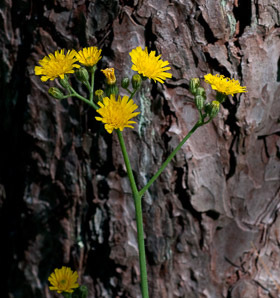 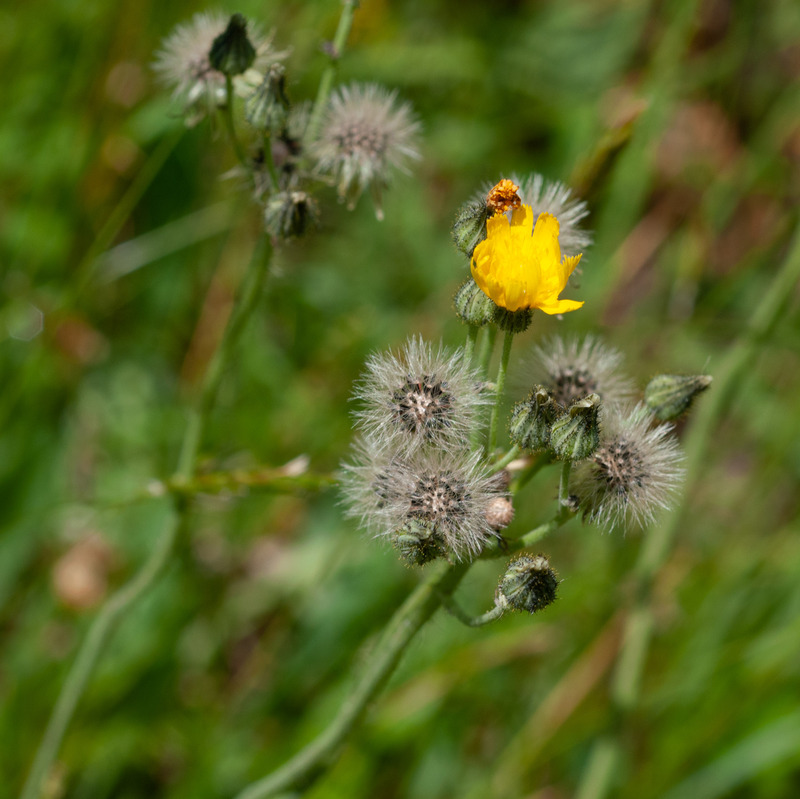 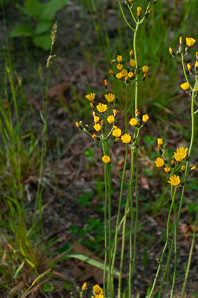 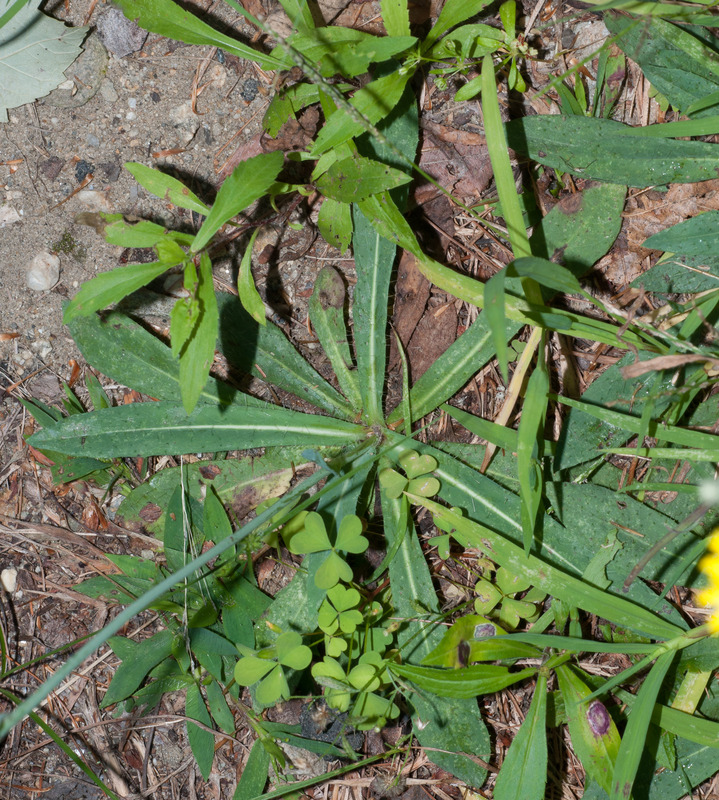 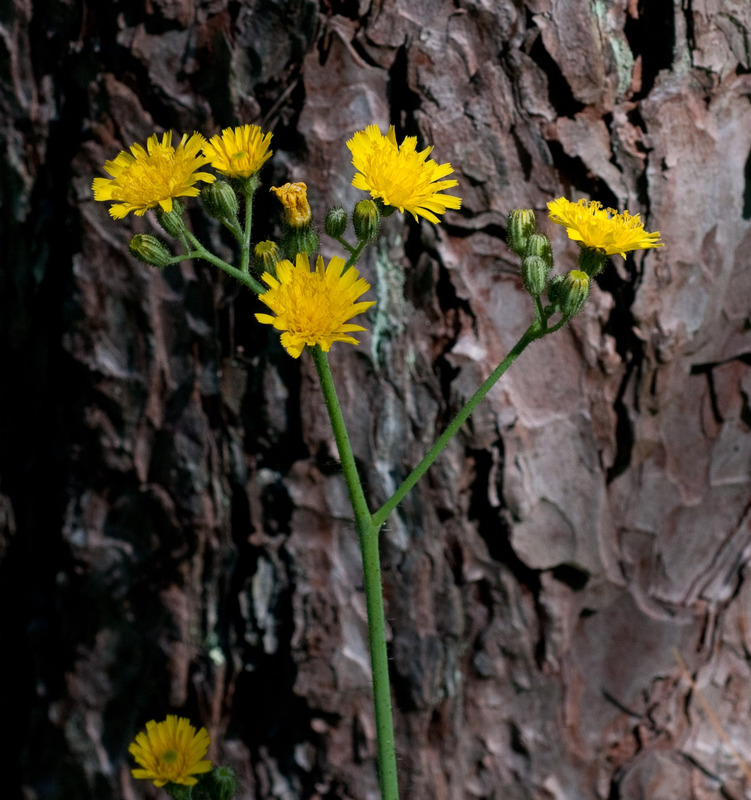 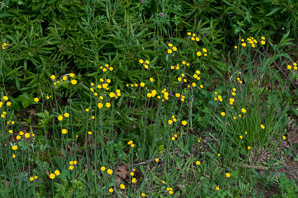 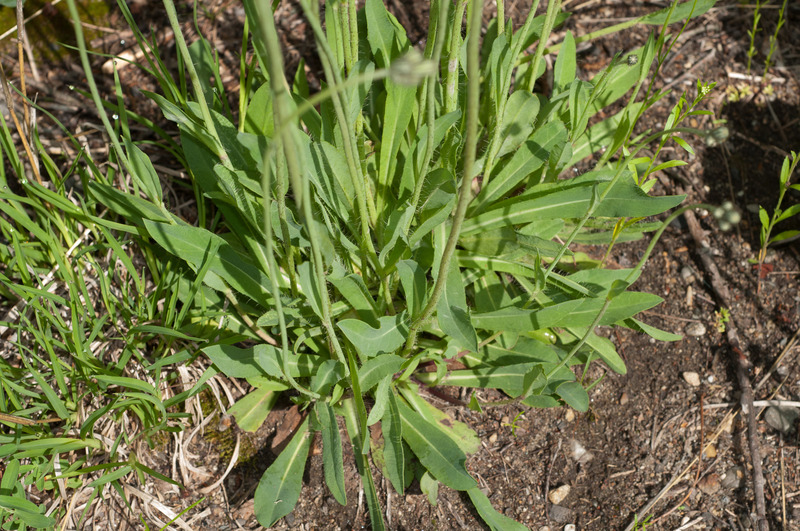 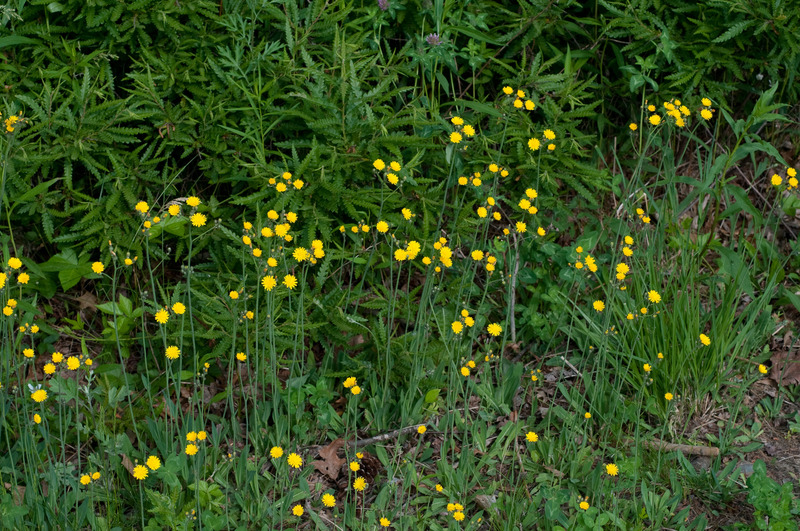 Meadow hawkweed is a European native, apparently introduced to the United States in 1828 as an ornamental plant. 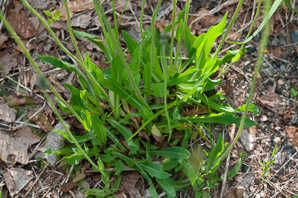 It escaped and is now widespread. 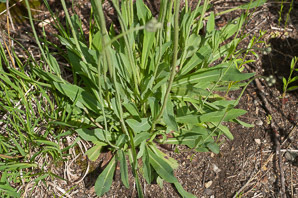 Plants: Plants consist of a basal rosette with 3-8 or more leaves, and many tall, thin relatively bare flower stems 10-36" (25-91 cm) high. 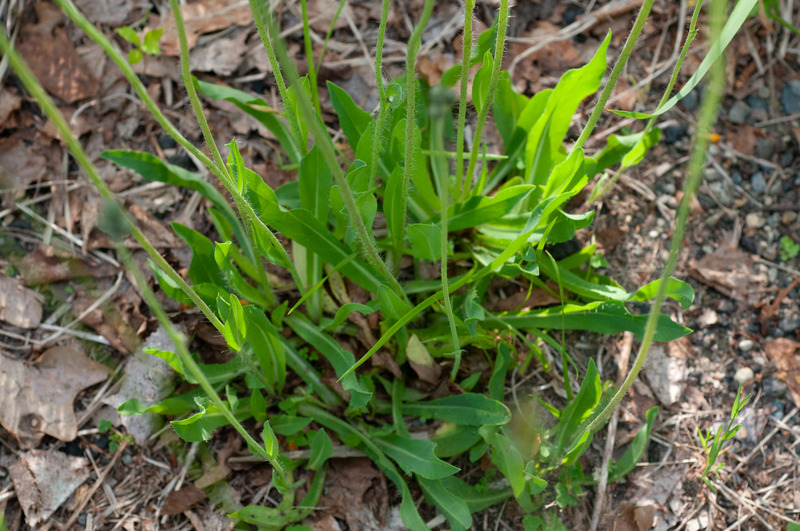 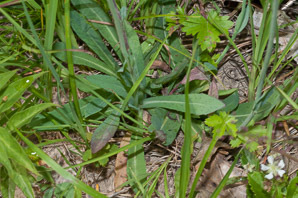 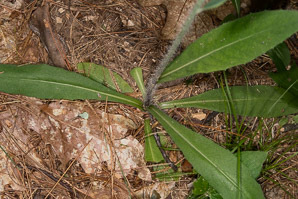 Stems, leaves, and stolons exude a milky latex when cut. Stems have dense hairs ¹/₃₂-⅛" (1-4 mm) long, softer toward the bottom, stiffer toward the top. Leaves: The basal leaves are 2-10" (5-25 cm) long and ½-1¼" (1.3-3.2 cm) wide. They are variable in appearance, oblong lanceolate to elliptic in shape, with blunt or pointed tips, sometimes toothed. Flowers: Each stem is topped with a flat-topped or umbrella-shaped cluster of 5-30 yellow flowers. 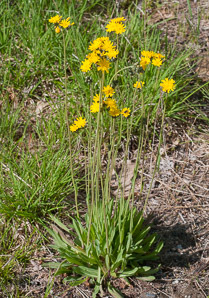 Flowers appear from May to August, and are ½-1" (1.3-2.5 cm) across. 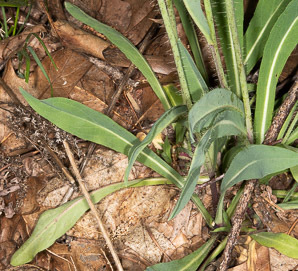 Fruits: Shiny, black, and plumed: equipped with individual feathery awns or bristles that depend on the wind to carry them to new locations. 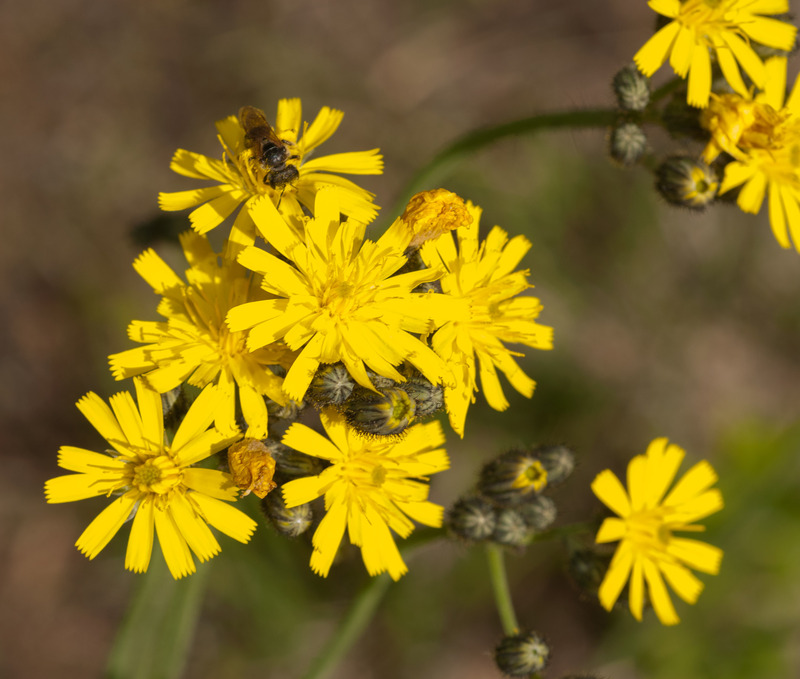 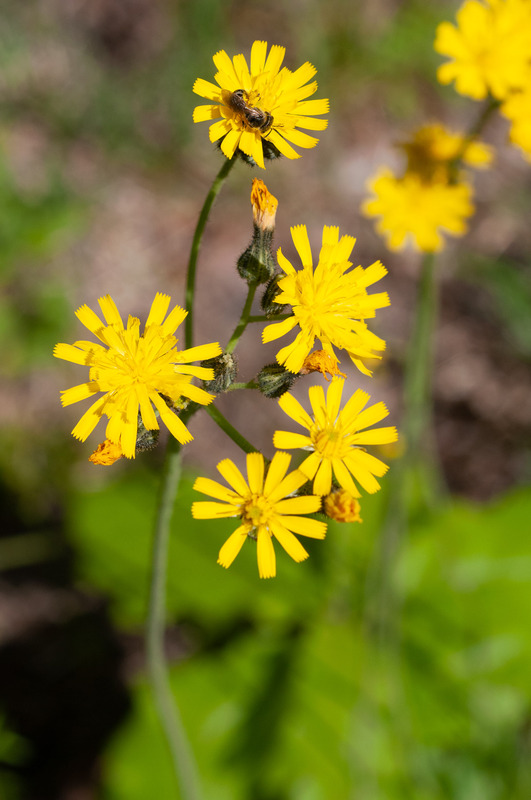 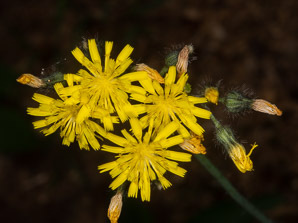 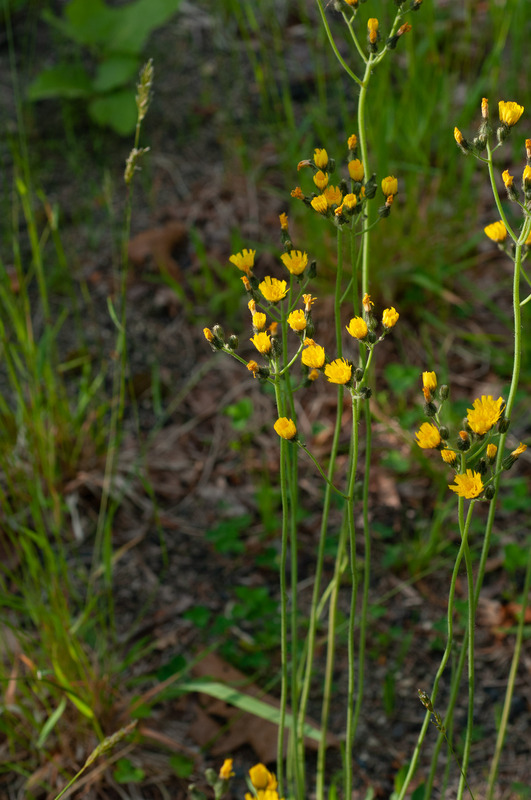 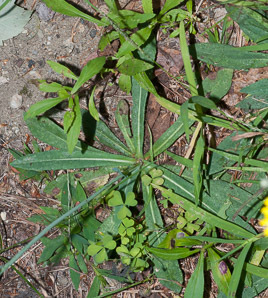 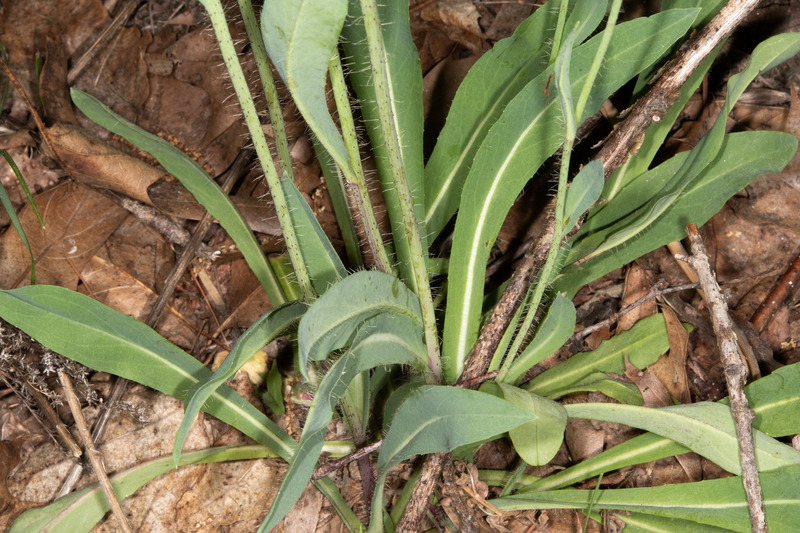 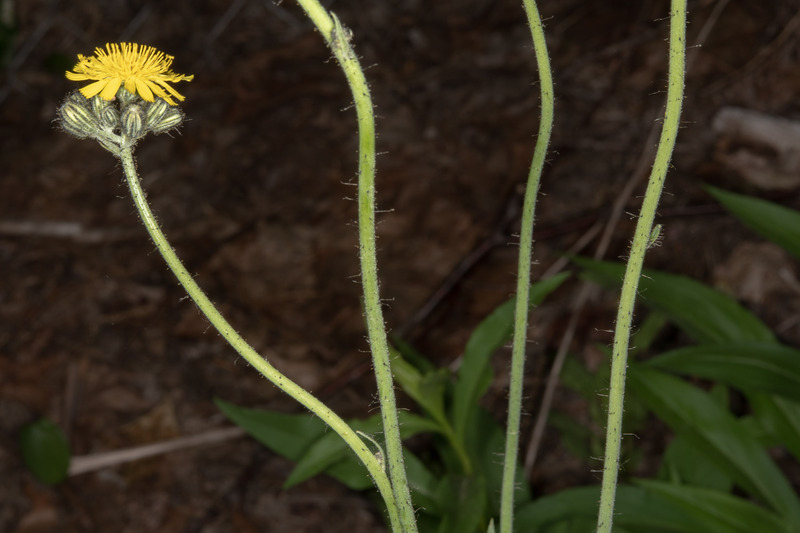 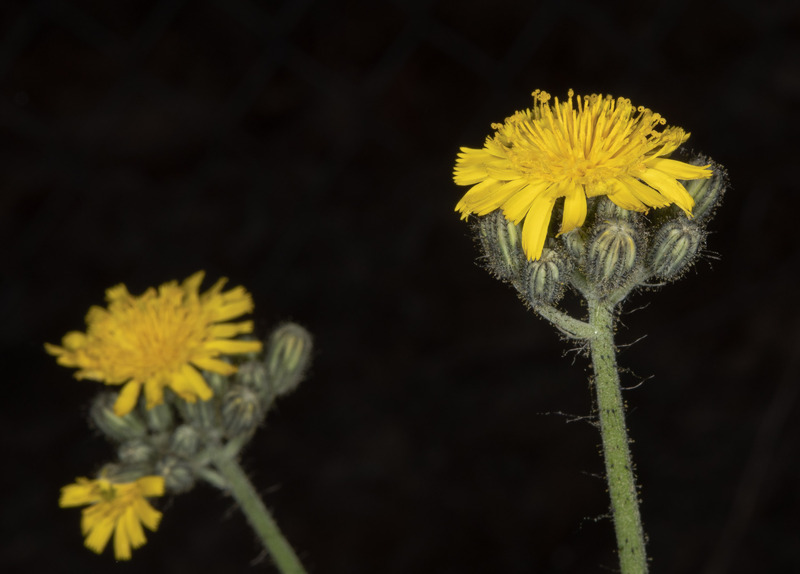 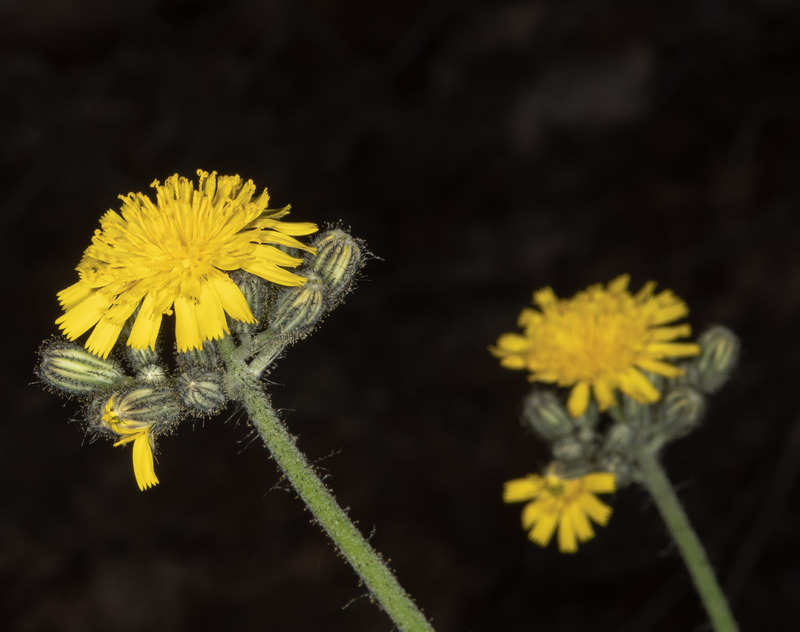 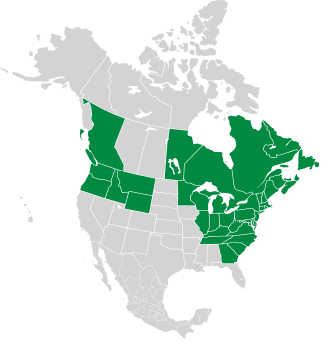 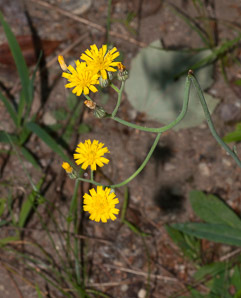 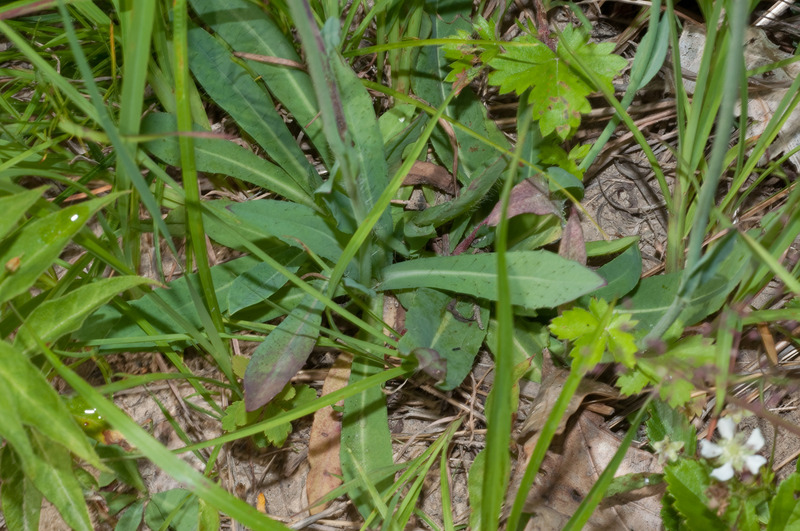 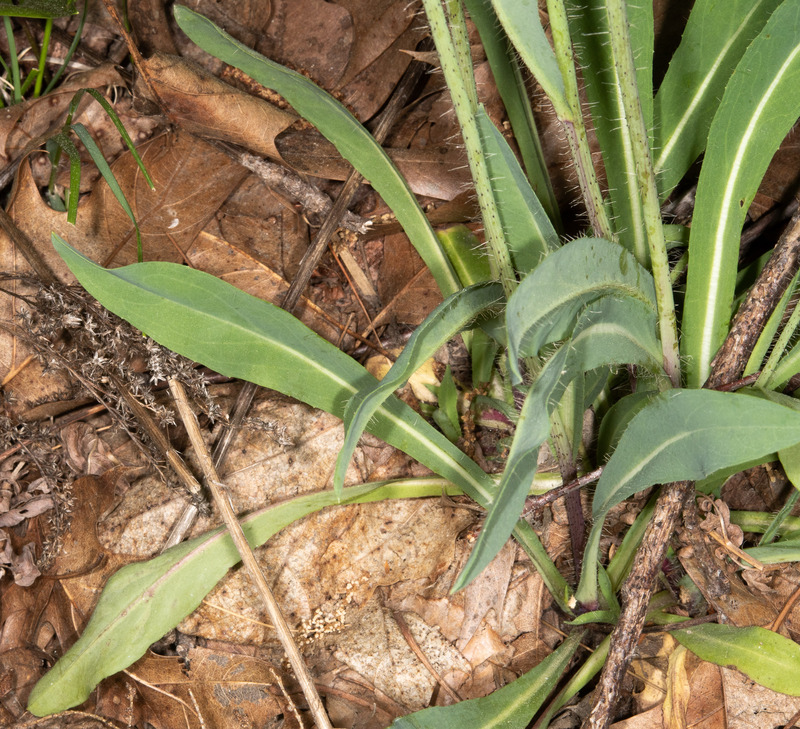 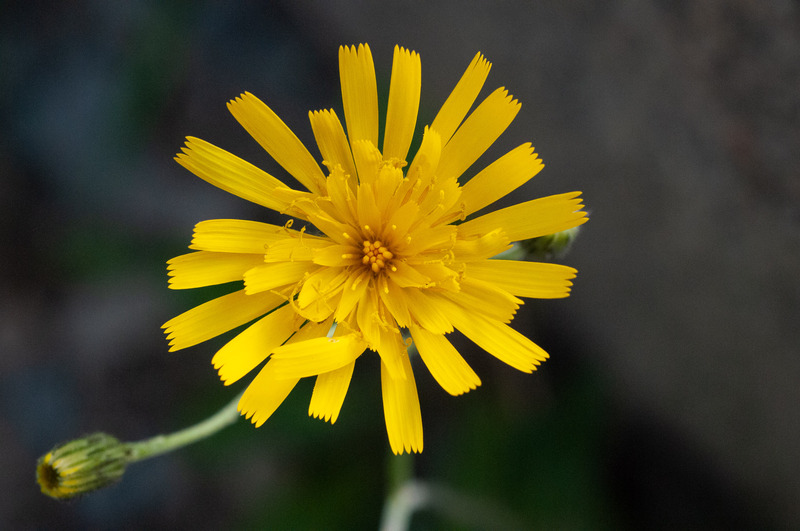 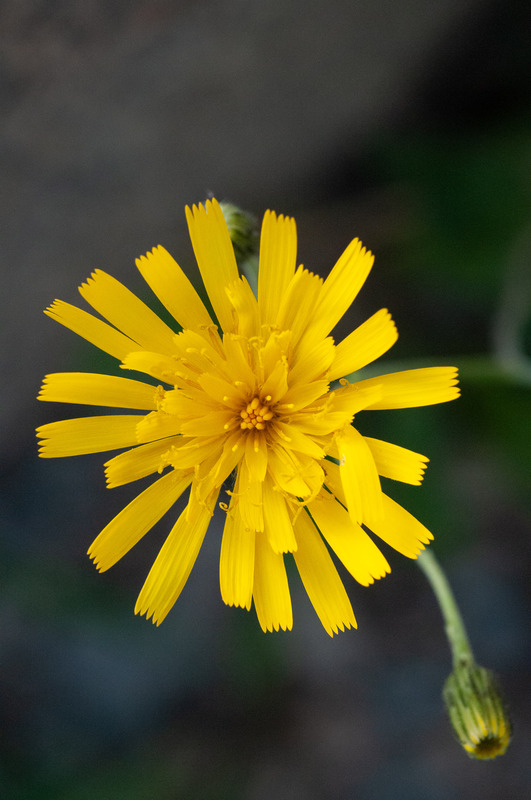 Hieracium caespitosum description by Thomas H. Kent, last updated 2 Jan 2019.